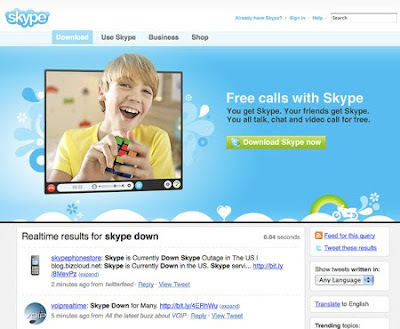 While the main website may be loading fine, many Skype users have reported that the service is down in most parts of the world -- the Middle East and Asia excluded. According to a Skype technician: "We're having some problems with our sign in server, so you may not be able to sign in to the Skype application or to your account as normal. If you're already signed in to the Skype application on your computer or mobile phone, you should be able to call/IM/etc as normal." We'll keep you posted as more information becomes available.